Which hoarding is best for your housing development? Hoarding is a temporary structure installed around the perimeter of a construction site for the safety and security of the site, construction workers and members of the public. It’s also a highly cost-effective advertising space to showcase a housing or commercial development, communicate the brand and attract sales. For advertising hoarding, we recommend cladding the base ply hoarding panels with either digitally printed Aluminium Composite Material (ACM) or a direct vinyl wrap to the ply*. Both options will carry your message and images in high resolution full colour digital print and images can even be illuminated. We recommend headers and kickers be added to give a neat finish and again these will allow for lighting to be fitted beneath the header, which will provide a wash of light to illuminate the entire hoarding at night. They suit both short and long-term use and are easy to install, strong and secure. Which material is best for my hoarding project? ACM sheets – also commonly known by the brand Dibond, ACM is secured onto plywood. It’s made from two thin coil-coated aluminium sheets bonded to a non-aluminium core (polyethylene or foam). Printed ACM can be applied straight onto hoardings. It’s a superb material for hoarding because it flexes and is very durable, offers sound reduction and is fireproof. The overall affect is a streamlined, professional look and feel. Individual panels can also be easily updated and replaced and is less expensive than vinyl wrapped ply. 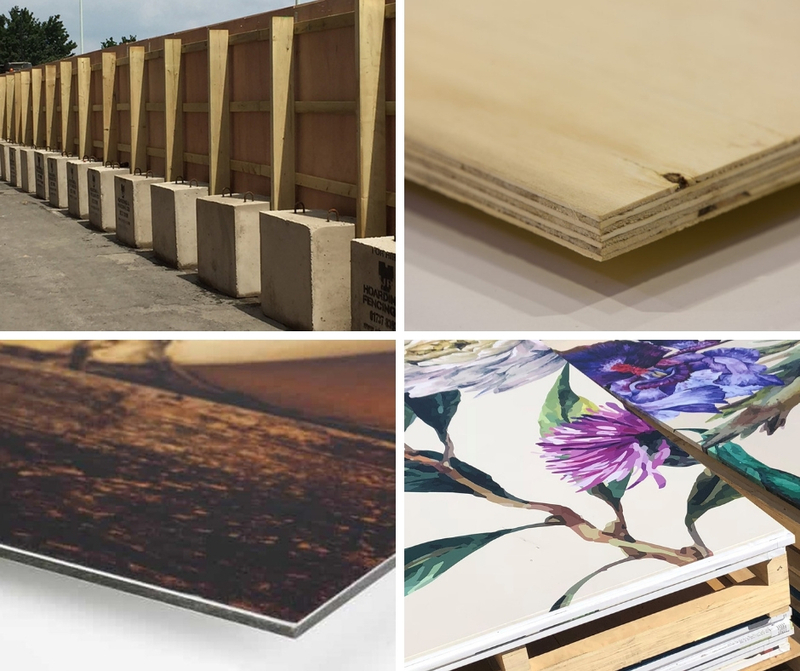 Vinyl wrapped ply hoarding panels – comes with different effects and can be laminated or wrap sealed. Vinyl wrapped hoarding is popular with luxury, high-end building developments. This type of hoarding gives a very high quality of finish. Site hoarding lasts for about three years, although it can be updated and refreshed at any point during the build. For extra longevity, hoarding can be coated with anti-graffiti laminate. Our team takes a consultative approach and can provide advice on the best option for your development, based on the brand, location, site life-cycle and expected frequency of message changes. Find out more about building site hoarding. If you’d like to discuss a project, please give us a call on 01252 336 000. *Vinyl wrap to ply requires a specific grade of ply, please ask for further details.